At the Piatchek Law Firm, attorney Joseph J. Piatchek has advised thousands of clients on how to avoid probate court, and he understands the current tools available to avoid probate: revocable living trusts, payable-on-death (POD) designations, transfer-on-death (TOD) designations, beneficiary deeds, joint titling, non-probate transfers, etc. But first, let’s be honest – you have probably heard of probate, and you likely know that it is best to avoid probate. However, do you actually know why you should avoid it? If you would like to learn more about probate court, we encourage you to read our “Probate Law Overview” page as well as our page discussing the different types of probate estates. The probate process is usually expensive and lengthy. To be specific, many probate cases will cost a minimum of an amount equal to 5 to 10 percent of the assets that go through probate, and many full probate estates take up to one year or longer to process. In addition, it is not a private process; probate court records are public knowledge, and assets that go through probate are like sitting ducks for any outstanding creditors. These creditors can simply file a claim with the probate court to get paid. Probate can also be confusing, complicated, and cumbersome. So if it’s possible to avoid probate, the question is this: why wouldn’t you want to avoid probate? Probate court can be completely avoided with the help of an attorney experienced in probate avoidance and some thoughtful estate planning – two services we are proud to offer at the Piatchek Law Firm. Our attorneys help people to avoid probate and, in the process, help them save their loved ones the costs, delays, and indignities of public probate proceedings. If you would like to learn more about how you can avoid probate, our attorneys would be happy to meet with you in person or by phone to evaluate your situation and explain the options available to you. Plus, many of our estate planning services are provided at a reasonable flat fee. 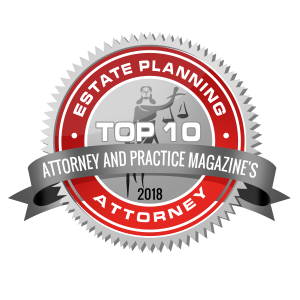 Used together, the estate planning tools described below can help most people accomplish their goal of avoiding probate. Revocable Living Trusts. By establishing a revocable living trust, you can retain control of assets during your lifetime, while also ensuring a smooth, non-probate distribution of those assets to intended beneficiaries when the time comes. Beneficiary Deeds. A beneficiary deed is a type of real estate deed that can be used to transfer real estate, such as your home, upon the death of the owner. This transfer upon death will take place without the real estate having to go through probate and without having to jointly title such property with children, spouses, or other intended beneficiaries while the owner is still alive. Transfer-on-Death (TOD) Designations. Transfer-on-death designations, also known as “TOD designations,” typically allow you to transfer personal property (things) to one or more beneficiaries in the event of your death, outside of the probate process. Transfer-on-death (TOD) designations are often associated with personal property such as vehicles, cars, boats, trailers, and motorcycles. However, there are limitations regarding what a person can do (or should do) with these simple TOD designations. An experienced attorney can assist you with your TOD questions and concerns. Payable-on-Death (POD) Designations. Payable-on-death designations, also known as “POD designations,” typically allow you to transfer financial accounts (money) to one or more beneficiaries in the event of your death, outside of the probate process. Payable-on-death (POD) designations are often associated with bank accounts, stock accounts, and all types of financial accounts. Please keep in mind that there are limitations on what a person can do (or should do) with these simple POD designations. An attorney experienced in probate avoidance can assist you with your POD questions and concerns. Beneficiary Bill of Sale / Beneficiary Transfer Instrument. These estate planning documents are usually very short, simple documents that establish beneficiaries for your tangible, personal property (a.k.a. “stuff” or “things”) upon your death. For example, a beneficiary transfer instrument can give away all of your household goods, furnishings, and clothing to a beneficiary or beneficiaries upon your death. Think of a beneficiary bill or a beneficiary transfer instrument as a “TOD designation for stuff.” Beneficiary transfer instruments are not typically used for titled items such as vehicles. They are only used for untitled, tangible, personal property. Joint Titling of Property. Simply titling property in more than one person’s name can cause the property to avoid probate upon the death of one of the owners. However, this type of planning is deceptively simple, and many mistakes can be made. This is partially because there are several different ways to jointly title property, and not all joint titling leads to probate avoidance. In Missouri alone, there are several ways that co-owners can own real estate, such as tenancy in common (which does not avoid probate), joint tenancy with rights of survivorship (which does avoid probate), and tenancy by the entirety (which is a special form of Missouri property ownership for husbands and wives only, and it does avoid probate). So as you can see, joint ownership of property has many nuances and can get confusing very quickly. An attorney experienced in probate avoidance can help you with these concerns. Let us help your family ensure that your assets get to your beneficiaries without the cost and delay of probate. Call us at 417-882-5858 or contact us online to set up a confidential consultation. 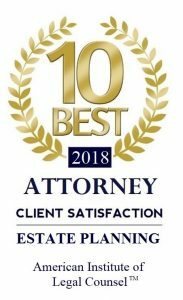 We offer free initial consultations for estate planning matters, and we are available for evening and weekend appointments on a case-by-case basis. We also may be able to arrange a home visit if you are unable to travel to our offices.